Weirdest Custom Limousine Builds. We’ve gathered together some of the weirdest custom limousine builds to show you that nearly anything is possible. While you probably wouldn’t want your limos to look like some of these, they do make you think about getting a little more creative. Just like the image above, some of these limousines might make you do a double-take to prove they’re real. Custom limousines are a great way to show off your brand’s personality and make your limo fleet unique. The level of creativity is up to you. You don’t have to go as extreme or set a world record, but some customization goes a long way towards impressing your passengers. You’ve seen monster trucks. Now imagine one as a limousine. With 46.5 inch tires, passengers sit well above your typical limo. Don’t let the monster truck exterior fool you. Inside, it’s more luxurious than you might think. It features leather seats and a full bar. Folding stairs in the back make it easier for passengers to get in and out. At the very least, it makes a statement on the road. Green limos aren’t anything new. Quite a few Prius’s and other hybrids are already in use as limos. What sets the KAZ electric limo apart is the body style. The compact limo looks more like a small UFO than an actual car. The Italian-Japanese vehicle cost $4 million and took five years to complete. This Dodge truck limo with an added camper definitely ranks high as one of the weirdest custom limousine builds. The truck on it’s own doesn’t seem that weird, but having a small camper on the truck bed makes you wonder what the purpose actually is. Perhaps it’s designed for camping if you’re riding in a limo overnight? When you think of a DeLorean, you think of Back to the Future. A DeLorean enthusiast decided time travelers should be able to travel in style and created a DeLorean limo. The finished build measures in at nearly 26 feet. It also includes three of the signature gull wing doors. The limited number of DeLoreans makes this not only weird, but rare. Here’s a limousine customization that we’re not sure serves an actual purpose. The dual-nosed Escalade limo. Outside of being one of the weirdest custom limousine builds we’ve ever seen, As the name implies, there is no rear to the limo. Both ends feature the front end of an Escalade. Instead of stretching one, the builder simply chops off the ends of two and puts them together. It’ll definitely turn heads, though it might get confusing for the driver. How long is too long? How about 100 feet? The American Dream is officially the longest limousine in the world and holds the Guinness World Record. While impressive, we can’t imagine it’s easy to navigate, especially on tight turns. Jay Ohrberg created the vision which features a helicopter landing pad. You’d need a massive group to fill up all the seats in this one. American Dream might be the longest, but it’s not the heaviest. Midnight Rider holds that title, weighing in at 25 tons. It holds the Guinness World Record for the heaviest limousine in the world. The weight and semi-truck style make it one of the weirdest custom limousine builds. The build began in 1997, but wasn’t completed until 2004. It’s actually licensed for US roads as long as they’re is room for its 48 foot turning radius. To look at it, it seems like an extra large tractor trailer, but is much more luxurious than that. American Limousine Sales is one of the best limousine manufacturers in USA. Weirdest Custom Limousine Builds – Are You Next? We’re just kidding, unless you actually are striving to have one of the weirdest custom limousine builds in existence. If so, we’re always happy to help. If these are a little too unique for you, don’t worry. A custom limousine doesn’t have to be extreme. Play with the paint or interior color. Even simple changes are enough to make your limo an unique experience for your passengers. 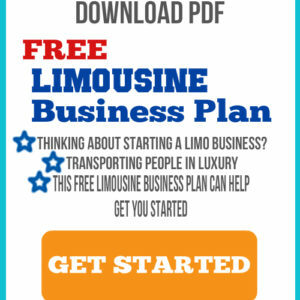 Ready to create your own one of a kind limousine? Find out how we can turn your limo into a custom work of a art.